Already voted. Went at 7:45 this morning. No line, walked right in. Kind of scary. By the news I saw this morning, lots of places were packed at 6:00 a.m. Perhaps, people weren’t out yet. The place was really starting to hop as I left. The FREE Starbuck’s coffee that was offered for voting, was out of the question. That place on the other hand, was packed. To the left, I’ve posted words from both presidential candidates. One block belongs to Obama, the other belongs to McCain. If you want to know who said what, visit Flickr. Nice work. I found this piece of work to be cool and very creative! Enjoy the day. And of course, VOTE! 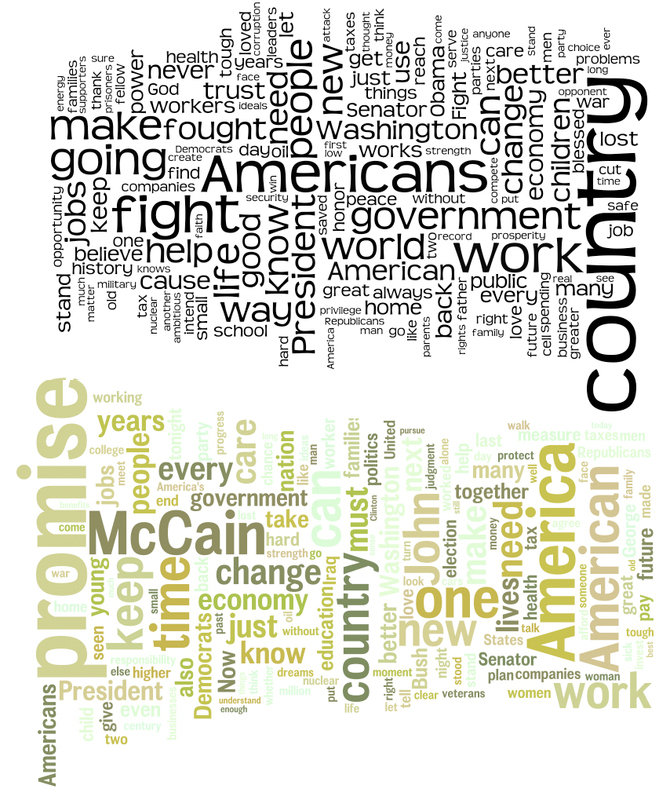 Categories: wisdom | Tags: art, election, flickr, mccain, obama, politics, starbucks, vote | Permalink.